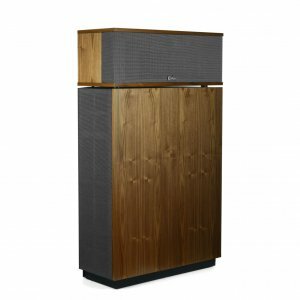 Klipsch KLIPSCHORN AK6(walnut)(each) Klipsch KLIPSCHORN AK6(walnut)(each) - - It's Free! : New Audio & Video, New Electronics at Lowest Prices! The genesis of something very, very special occurred in a tiny tin shed in Hope, Arkansas in 1946 when Paul W. Klipsch, genius, madman and maverick, designed and hand built the legendary Klipschorn® speaker to enable people, for the first time ever, to experience the power, detail and emotion of a live performance at home. Remember great sound? We do, too.